London Interiors & Maintenance Limited - Builder, Home Improvements, Painter/Decorator based in Bromley, Kent. 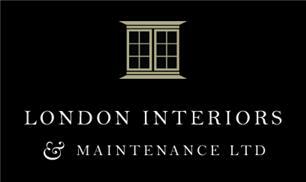 London Interiors & Maintenance Ltd is a family run business which has been in existence for over 10 years. We provide a wide range of services from Extensions and Renovations to New Builds, Refurbishments, Kitchen and Bathroom Upgrades, Decorating to Design and Maintenance. London Interiors & Maintenance believe building design can only be realised through capable craftsmanship and experienced management. All our projects are co-ordinated by one of our Directors, ensuring delivery on time to budget and to the highest standard. We build long term relationships with our Clients due to the high quality and efficient services we provide. These relationships have been the cornerstone to our success.